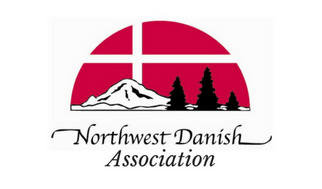 To arrange family registrations call NWDA at (206) 523-3263. Early bird registration period ends MAY 10th! Final registration deadline is JUNE 1st! $170 - per person. Friday only (conference and meals). $225 - per person. Saturday only (conference and meals). $170 - per person. Sunday only (conference and meals). *Note: Must be a current 2018-2019 member of NWDA to qualify for the discount OR be a current student with a valid student I.D. For DACR 2019, the membership discount will also be granted if attendees become members for the 2019-2020 membership year. $315 - per person. Entire conference and meals (Friday, Saturday, and Sunday). $200 - per person. Friday only (conference and meals). $255 - per person. Saturday only (conference and meals). $200 - per person. Sunday only (conference and meals). $14.00 - Full conference (3 days). Please click here to add 3% to your total amount to help us cover online transaction fees. Thank you!